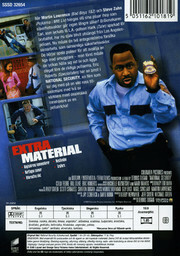 Actionkomedi från 2003 av Dennis Dugan med Martin Lawrence och Steve Zahn. 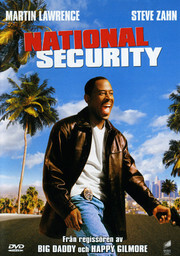 When Martin Lawrence (Bad Boys) and Steve Zahn (Daddy Day Care) team up as security guards, no one's safe! LAPD reject and major troublemaker Earl (Lawrence) got L.A. cop Hank (Zahn) kicked off the force for brutality. Now, these two guys who can't stand each other, are stuck working together as lowly security guards. And they're playing cops to bring down a smuggling ring – if they can stay alive and stay one step ahead of the real cops. Co-starring Eric Roberts (The Specialist), NATIONAL SECURITY will take you on a wild ride with the most unlikely heroes ever to wear a badge!